Hopefully that nickname won't bring the Disney lawyers down on me. 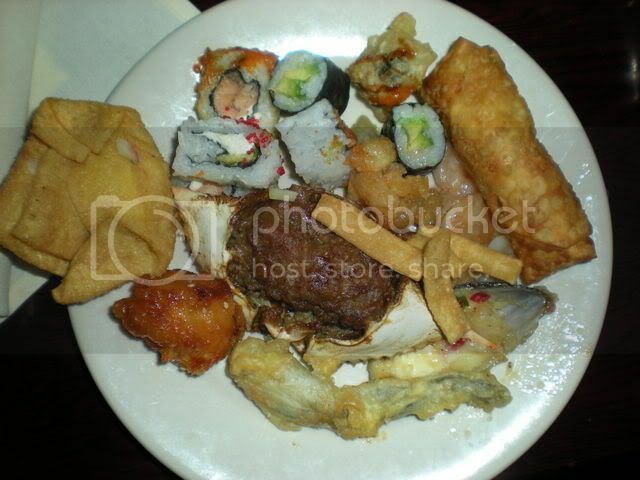 Last week we went to our favorite buffet: Emperor's Palace in Chesterfield Valley. This is practically a road trip, since it takes almost an hour to get there from the city of St Louis. I was hoping to get there on a night when they had those massive fire pits going, but it was raining that night. 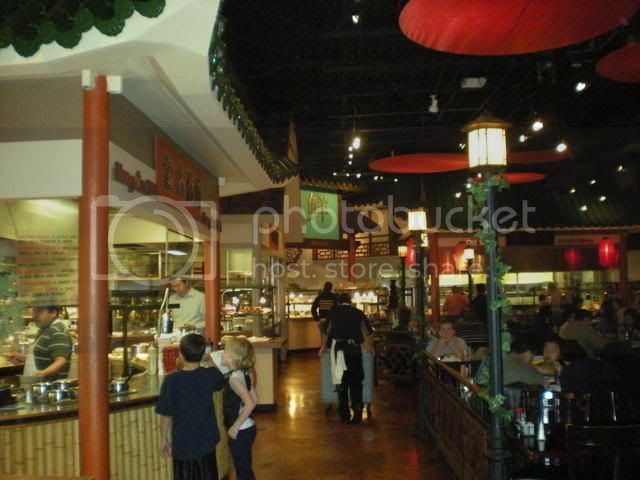 Emperor's Palace has practically every Asian food you can think of, including Chinese, Vietnamese, Japanese, Korean,Dim Sum, and Mongolian barbecue, plus American food and a chocolate fountain, along with a vast array of other desserts. 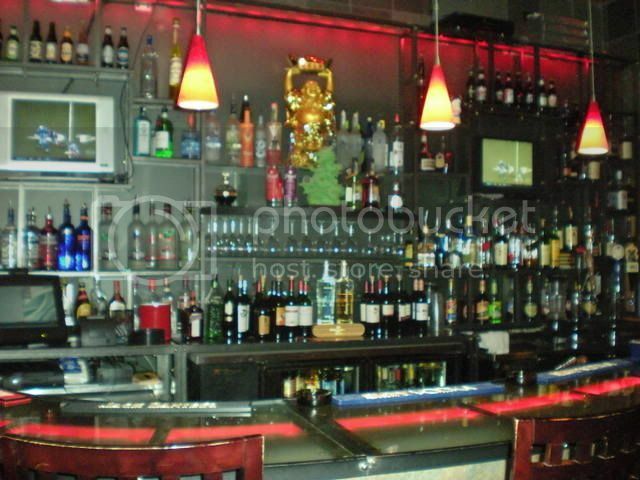 They also have a full bar. 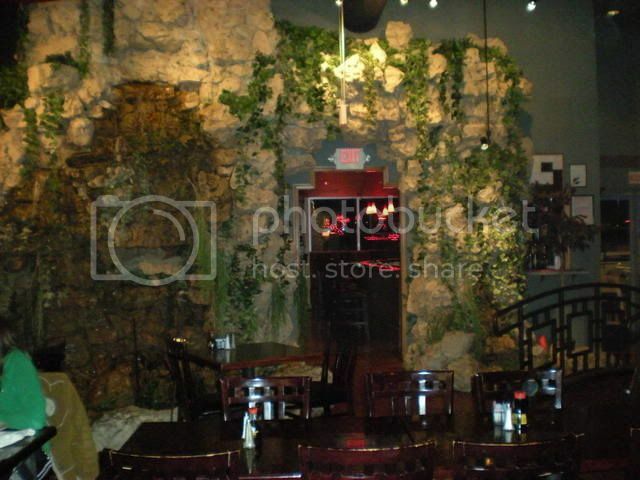 The restaurant is huge, with a huge open seating area, plus a 2nd floor mezzanine and a wall of booths. There is also what we call "the date pagoda" which is a gazebo in the middle of the restaurant with one table. Special table for your special night at the buffet, am I right? 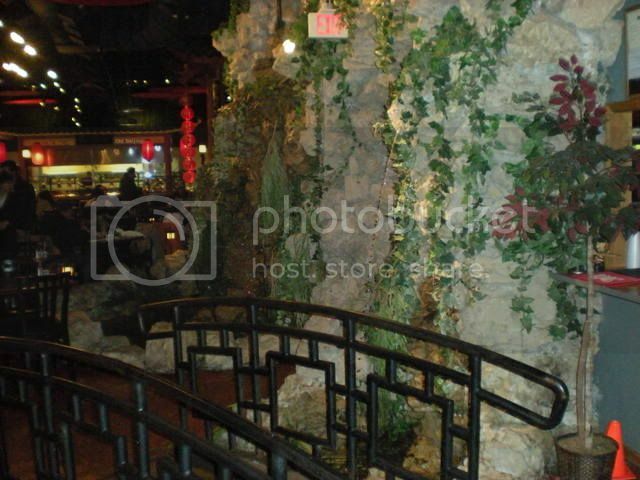 There are rock walls with waterfalls, rivers, and ponds throughout the restaurant. 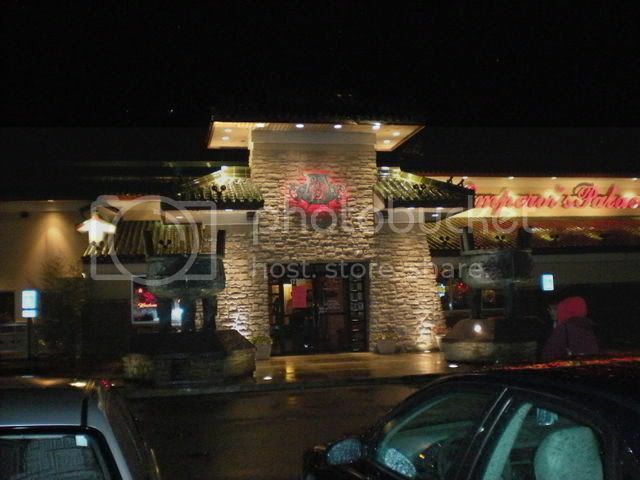 The atmosphere, especially for a buffet restaurant, is really second to none. Onward to the food! We do our best to treat a buffet as a tasting privilege rather than an obligation to eat ourselves stupid, particularly since it is such a long drive home. Full driving is nearly as dangerous as drunk driving. 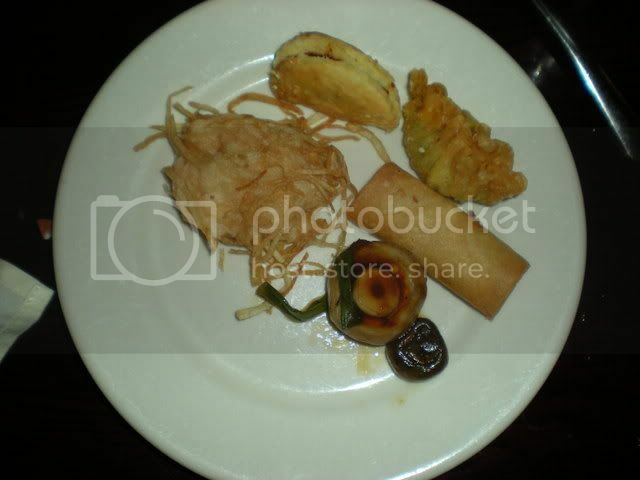 The first plate is always the very favorite dishes. 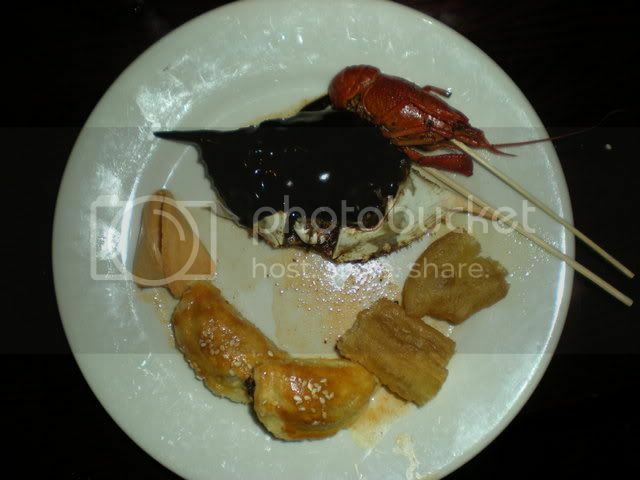 Above, clockwise from top: a selection of sushi, egg roll, shrimp in sauce with candied walnuts, some wonton pieces, a stuffed clam or mussel, frog leg, a piece of sweet and sour pork, crab rangoon, and crab stuffed with beef in the center. Second plate is always a crab leg break. The work of cracking shells gives you some time to digest. Plus, as long as I'm up, might as well grab some more sushi and shrimp in sauce. And peel and eat shrimps. 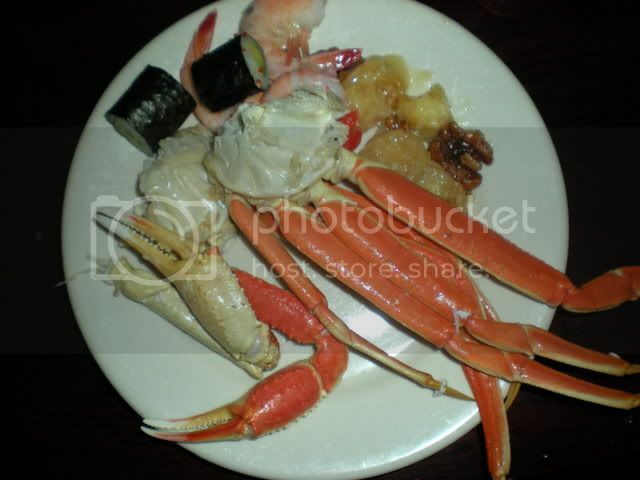 They're right there next to the crab legs. 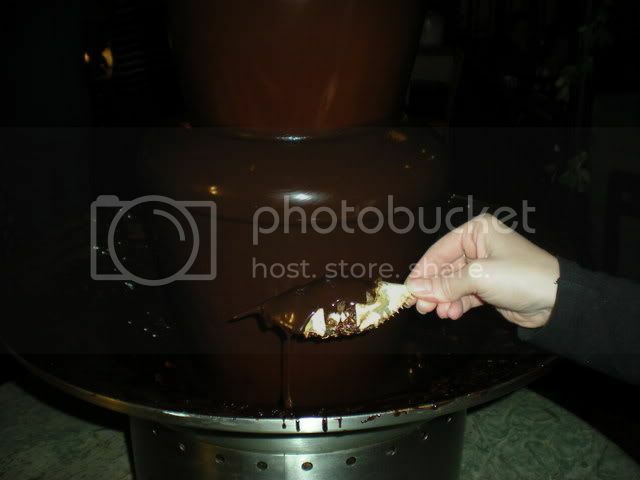 Third plate is a snack while we brainstormed on what to put in the chocolate fountain. Here is a little beef pastry, a fried dumpling, fried spring roll, mushrooms in garlic sauce, and some kind of shrimp cake. Then it was back to the buffet in search of an inappropriate item for the chocolate fountain, as requested by Mike and Jamie, who were unable join us that evening. We were going to try a crawfish, but it was too juicy. No need to contaminate the chocolate. The stuffed crab fit the bill, as it was both firm and ridiculous. Believe it or not, it was delicious. 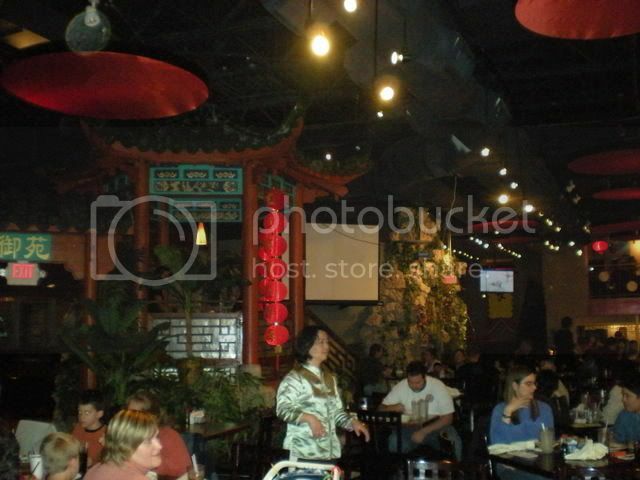 So there you have it, The Emperor's Palace, 2005 Riverfront Times Best Chinese Restaurant. There is also an option to order off the menu, but who wants that when you have so many choices on the buffet? This is an adventure from the weekend before Halloween. Gatewood Gardens caught my eye because it reminded me of a passing mention in an Anita Blake book (by St Louis author Laurell K Hamilton) of a cemetery next to a nursing home, and how crappy that must be for the residents. 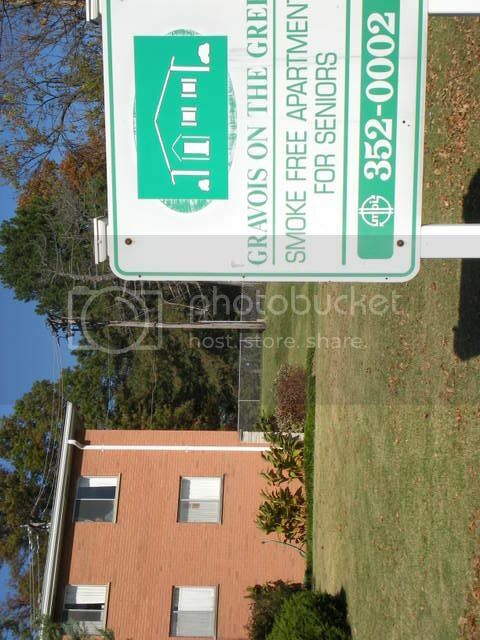 This is in a different area of town, but it's next door to some senior living apartments. 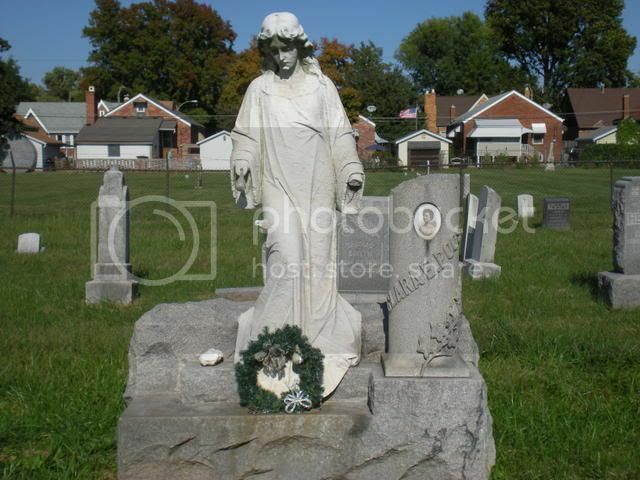 Gatewood Gardens is a cemetery that, like Old St Marcus, was taken over by the City of St Louis due to back taxes owed. It's not as sad as Old St Marcus, but there is still an air of neglect. 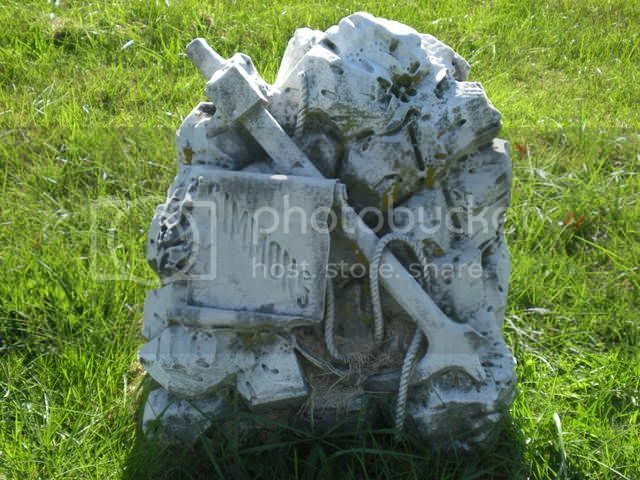 Headstones face every which way and the ground is sunken in ways you'd rather not think about. The layout is confusing, as well. You'll notice from this sign that single graves were all lined up around the outside. Was this an original design, or did it get so out of hand when it was neglected that this was the only way they could put things back together, short of the memorial wall at Old St Marcus? A lot of the graves are suspiciously close together or oddly grouped. This is a "set" that made me think some of these are not in their original locations. 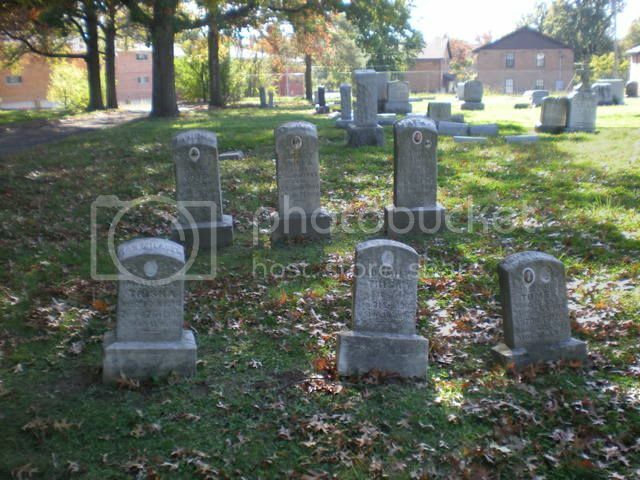 They all have the same last name, but it just doesn't look like a family plot. 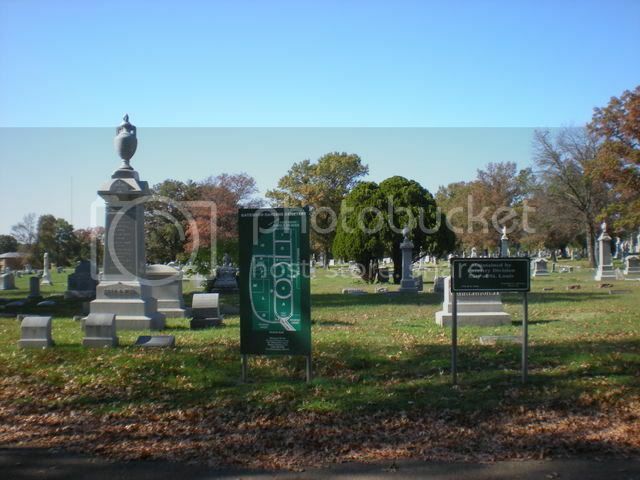 Some of this could be because graves were moved here from the original Picker's Cemetery, which was one of the first cemeteries in St Louis and the final resting place of many of the victims of the 1849 cholera epidemic. 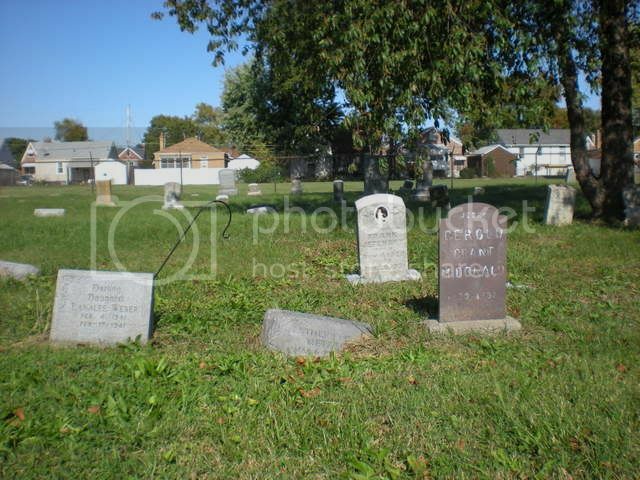 Those graves were moved to this cemetery in 1916, making it New Picker's Cemetery. 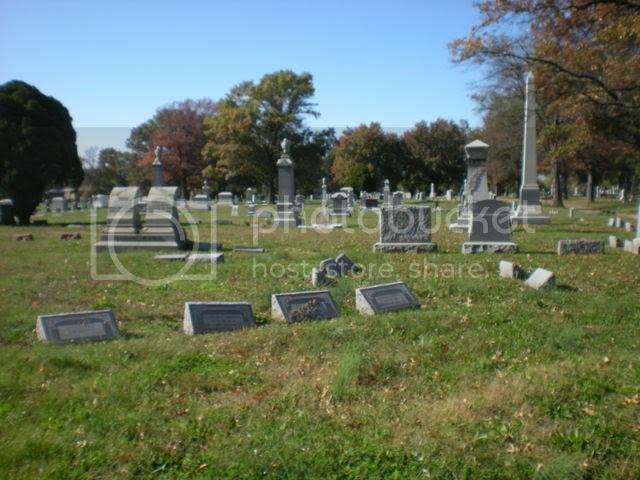 Then they purchased another plot of land across Gravois, and that became New Pickers and this one became Old Pickers. 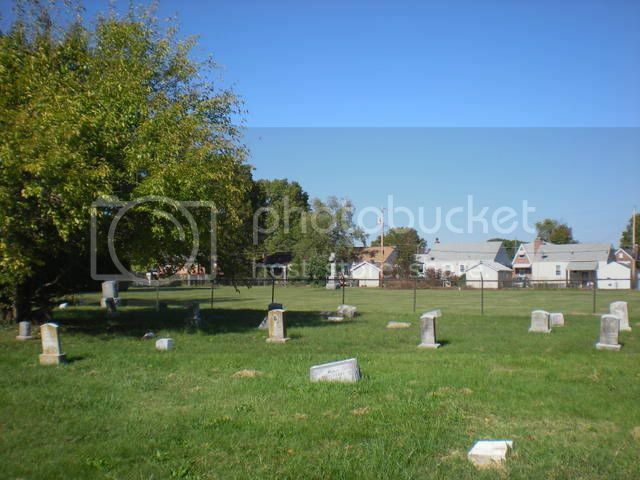 So the section of Gatewood Gardens you're looking at now is Old Picker's Cemetery, but not the original. The original was in the area of Kansas-Wyoming-Louisiana-Arsenal streets. One of these days I'll head back over there to take pictures of the other half of Gatewood Gardens, aka New Picker's. 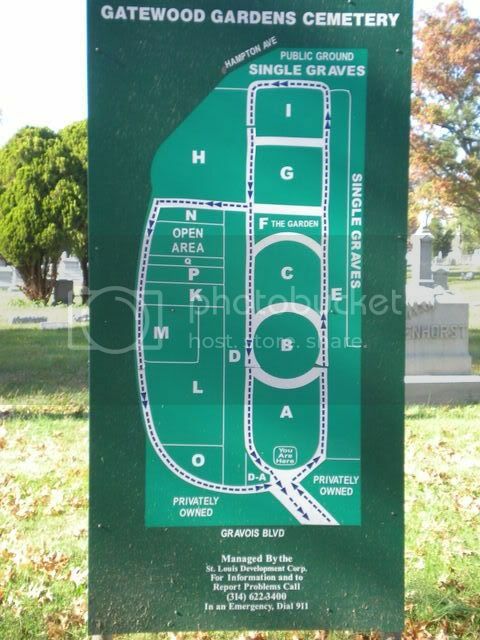 To make things even more confusing, in this next picture you can see a fence that divides this section from another section, and that other half is much neater and well-maintained, although every map I've seen identifies the entire parcel as Gatewood Gardens Cemetery. 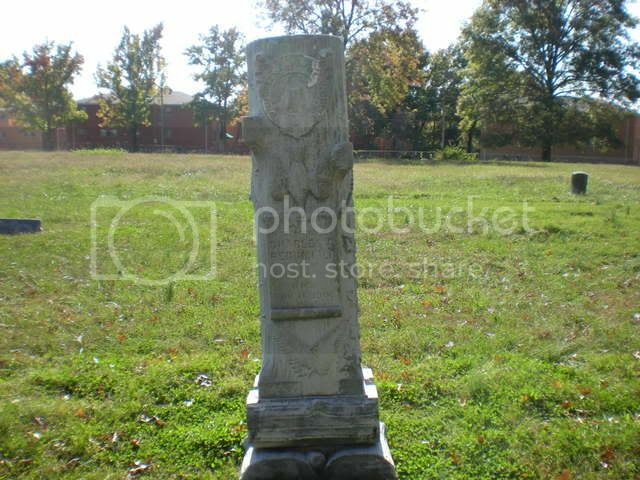 One of my favorite things about these old cemeteries is the really unusual monuments. 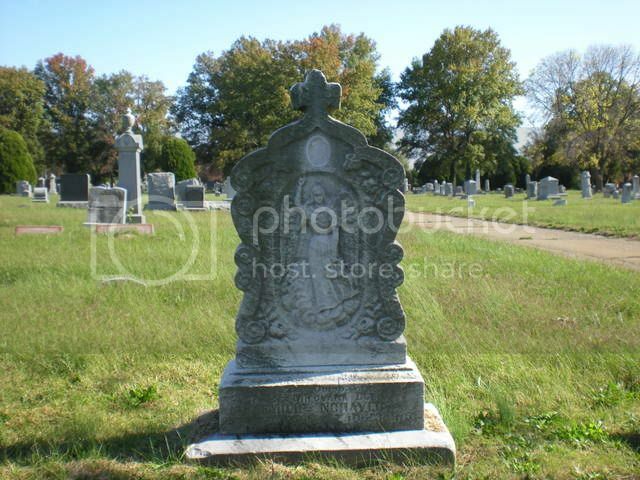 It seems like a lot of headstones from the 1950s onward are just one slab of granite after another, but prior to that there were a lot of interesting carvings and statues. My favorite thing is finding a common thread in a cemetery, like how the cemetery behind my house has dozens of the ceramic pictures in excellent condition. 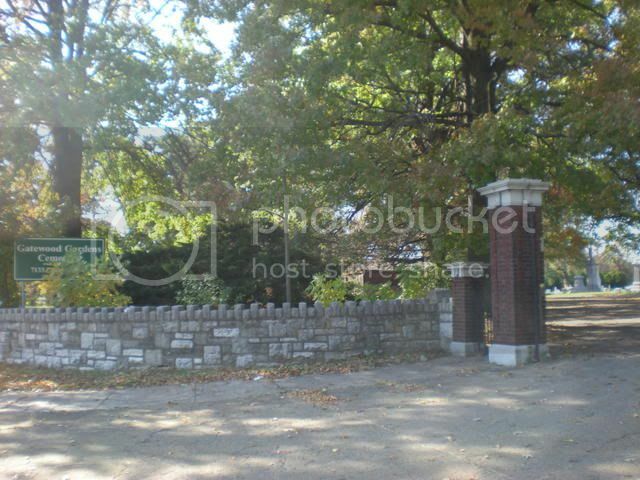 Gatewood Gardens is the final resting place of a dozen or so Woodmen of the World. 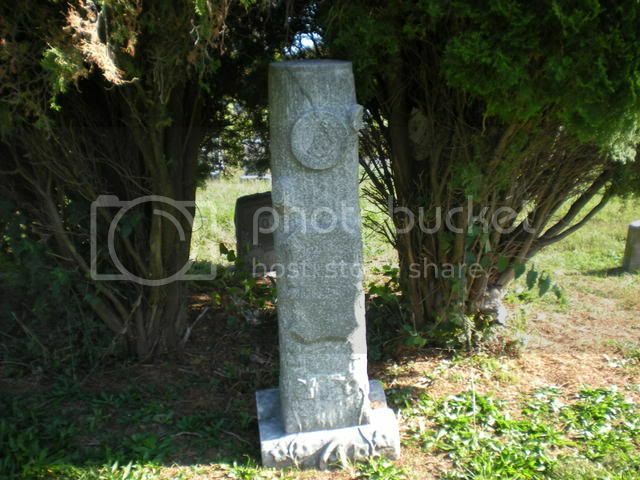 I have seen these monuments in other cemeteries, but never so many in one place. They were everywhere, and all the same design. Check out this fascinating article about a guy who travels all over photographing Woodmen of the World monuments. 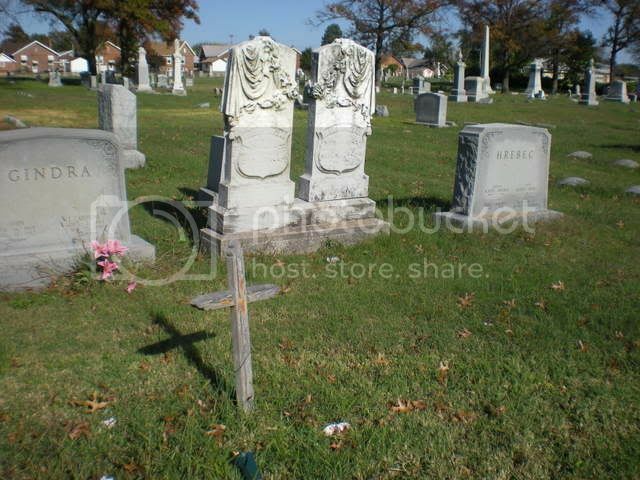 Over in the back corner, I saw this headstone (on the right) that almost looks like it was carved by hand. I stopped to get a closer look and realized I was in the baby section. It always sneaks up on me and before I know it I'm in tears. 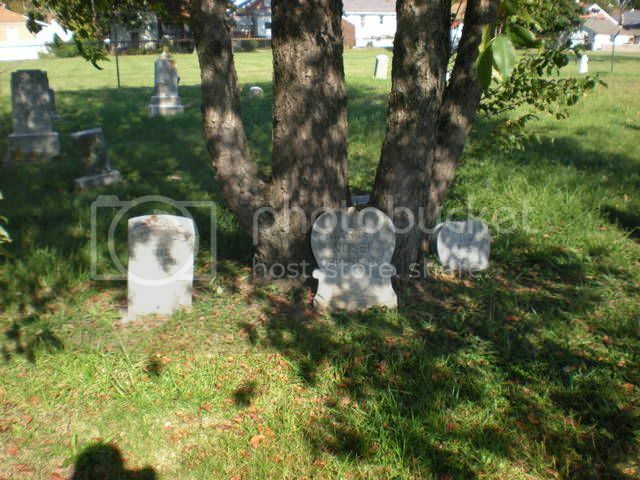 Somehow it's comforting to know that all the babies have their own section of the cemetery, like they keep each other company. I liked this little group under the tree. 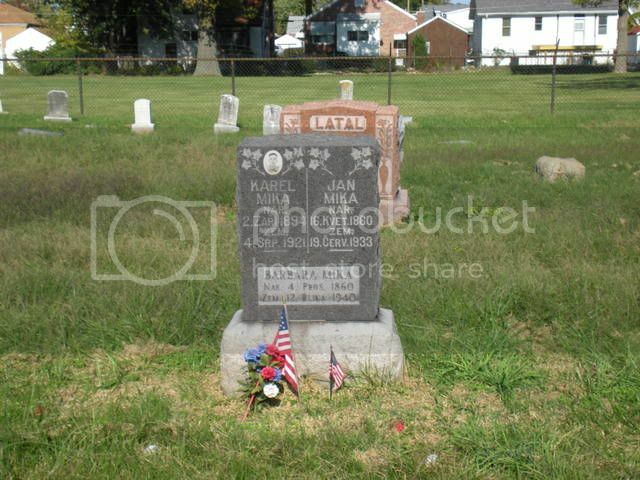 I also like to see graves for people that died 60 or 70 years ago that people still visit, particular in a cemetery that has seen some rough times and seems forgotten. I didn't think I would have enough to talk about for this entry, but it turns out I'm out of pictures. Sooooooo, join us next time, when we go ghost hunting in Alton, followed by a "Craves" visit to the Disneyland of buffets, Emperor's Palace.